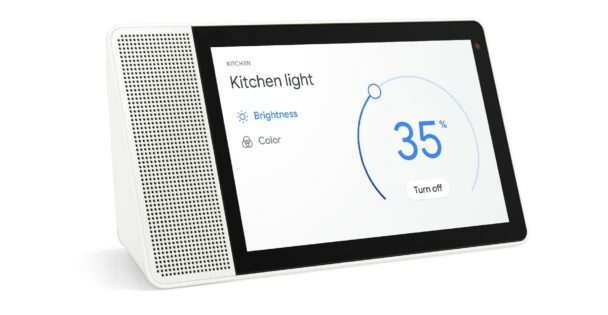 Best Buy’s doing their deal thing and a normally $199.99 Lenovo – 8″ Smart Display with Google Assistant is on sale for $99 right now. I got two last week (we’re setting one up at the grandparent’s in Oregon so the kids can call and video chat with them.) and while not quite as awesome feeling as my Google Home Hub, it does the job well (and the Hub doesn’t have a camera). Anyhow, get your Lenovo – 8″ Smart Display with Google Assistant $99.99 while supplies last. Maggie and Aerin have successfully carried on a conversation with friends on an iPad running Duo and it’s significantly easier than trying to explain over and over again that Connor cannot see what you’re seeing on a normal phone call. If you’ve already purchased one, you can still just give Paul money as diapers are expensive.